We believe that a great print goes beyond great equipment – it is how you use it and follow though to create what is envisioned. Without that, its just paper and ink. From banners and vehicle wraps, fine art prints, murals, and beyond - Etcetera Design Solutions provides quality products, expert insight, and friendly customer service.  Wholesale printing is also available - please call to inquire. 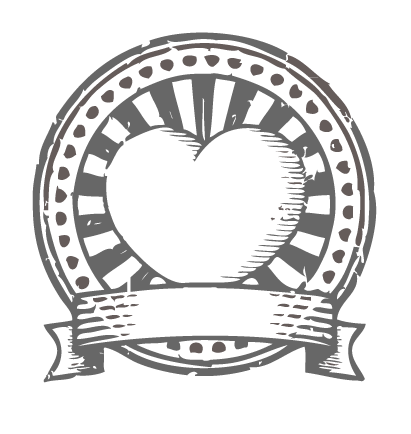 Quality graphic design is often confused with flashy and overwhelming. Let us show you what quality design can do for you. Be trendy yet timeless all while creating a true, effective identity for your business. New and established businesses welcome. Vehicle wraps are not only a cost effective, high impact marketing tool – they bring credibility and presence to your brand. Shuttle buses, vans, cars, and trucks all make great palate for your message. 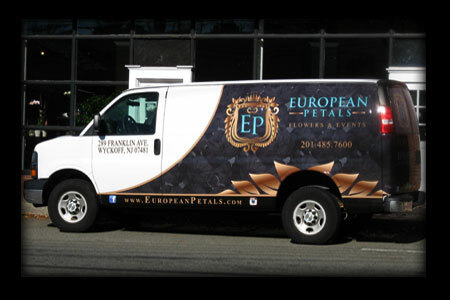 Almost every business type can benefit from wraps – deliveries, errands, and simple travel can be an opportunity to make an impression that leads to your next sale. 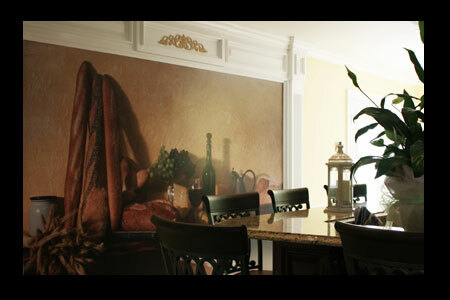 Nothing transforms a space quite like a wall mural. Murals set the mood. They can pop or envelope you. Be trendy or timeless. With many media options to choose from – temporary to permanent, cost effective to luxurious – wall murals from Etcetera Design Solutions will provide that atmosphere that draws people in time after time. signs, window lettering, decals, labels, applied to substrates, and much more! 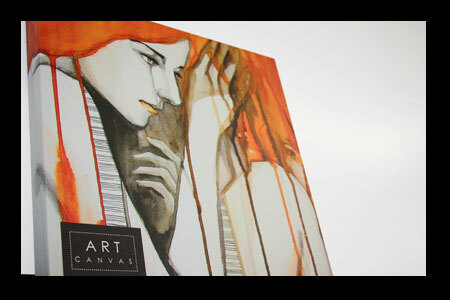 Do you want to provide beautiful, high quality prints to your clients? 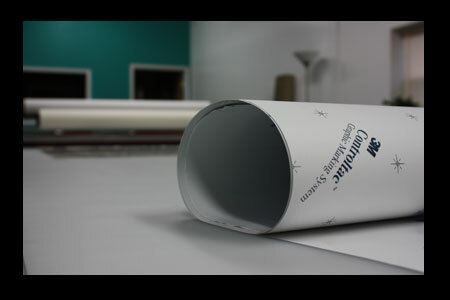 Etcetera Design Solutions provides wholesale wide format printing to the trade. 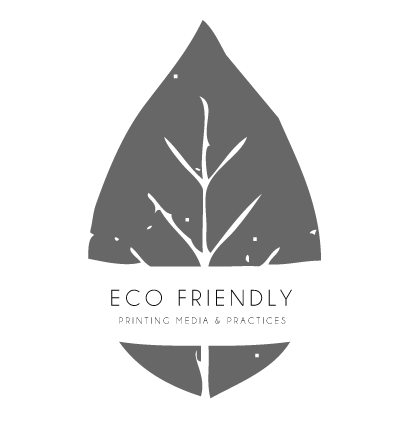 Whether you are a graphic designer, print broker, or fellow print shop –our prints will be an extension of your creativity and services. Our service is unbranded and discreet, and we are here to advise you along the way. Let us be your go-to resource for your printing needs. Your clients will thank you. 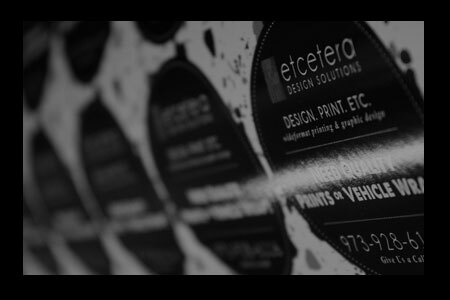 Interested in wholesale wide format printing services from Etcetera Design Solutions? Not local? No worries. You can still tour our studio as if you were here. Give us a call to make a Skype appointment. Looking for something you do not see?